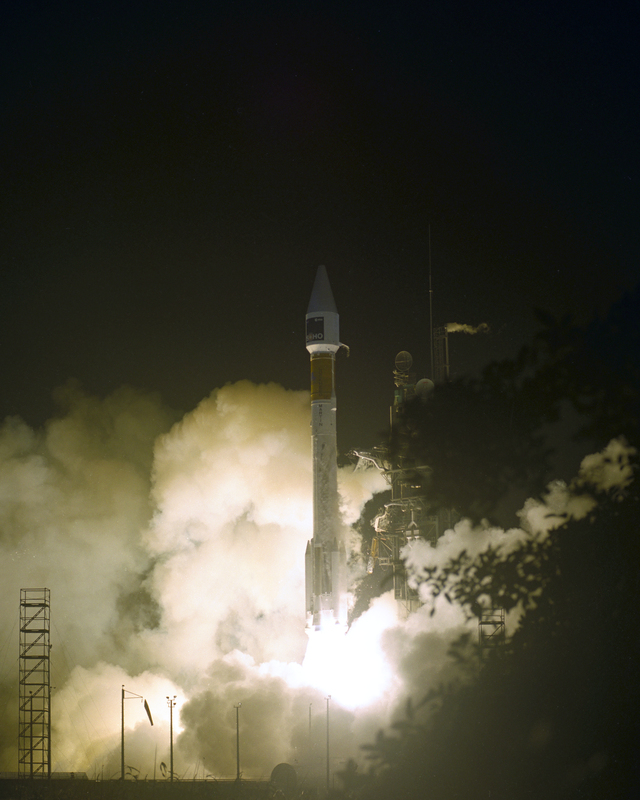 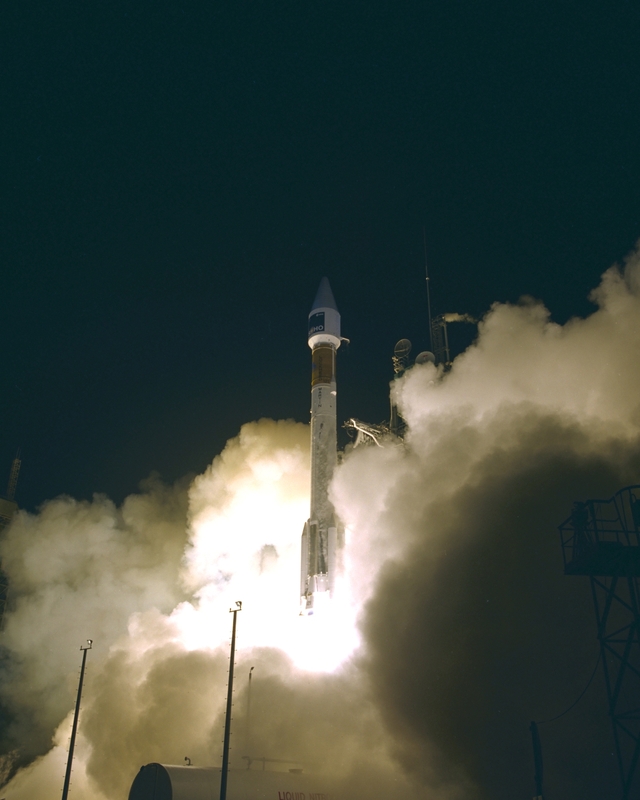 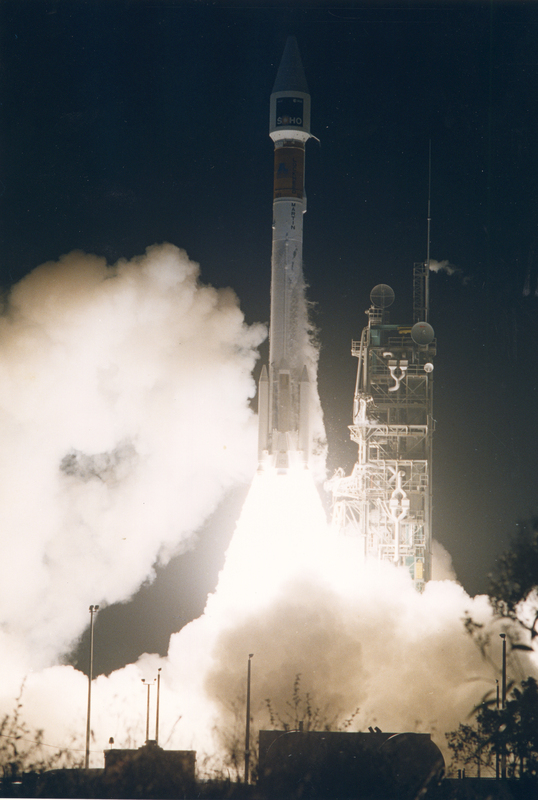 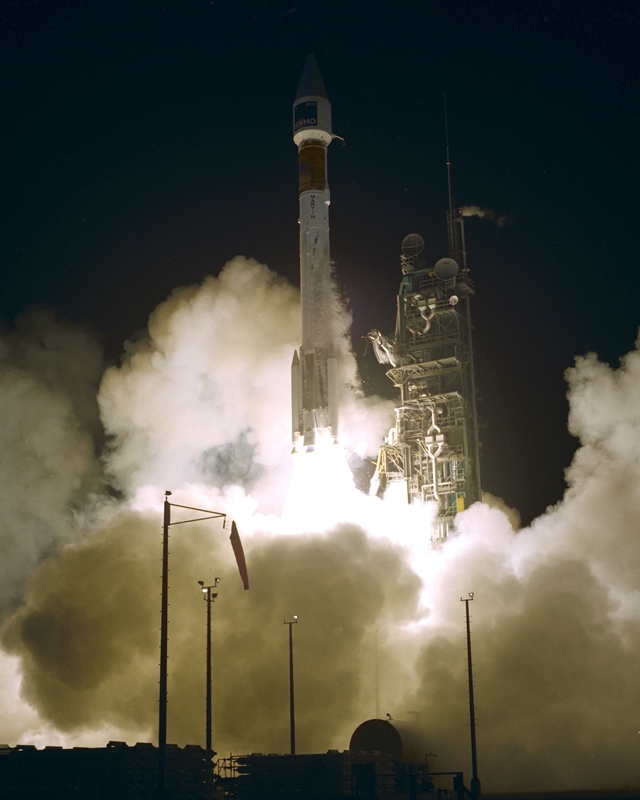 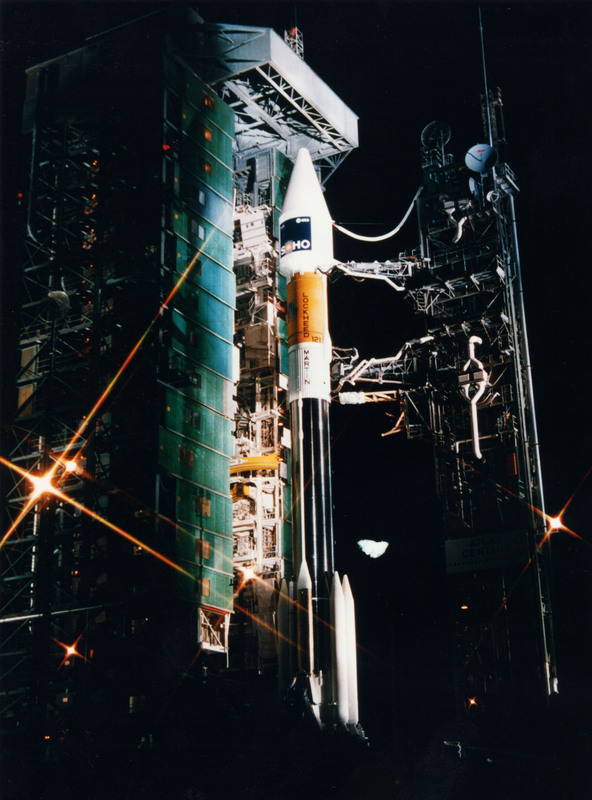 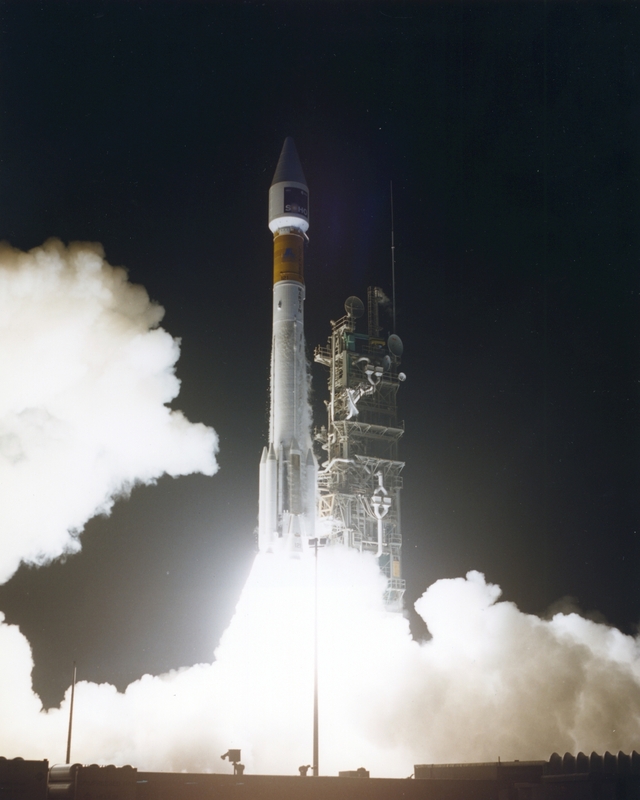 The launch vehicle for this mission was a two stage Atlas-IIAS (Atlas/Centaur). 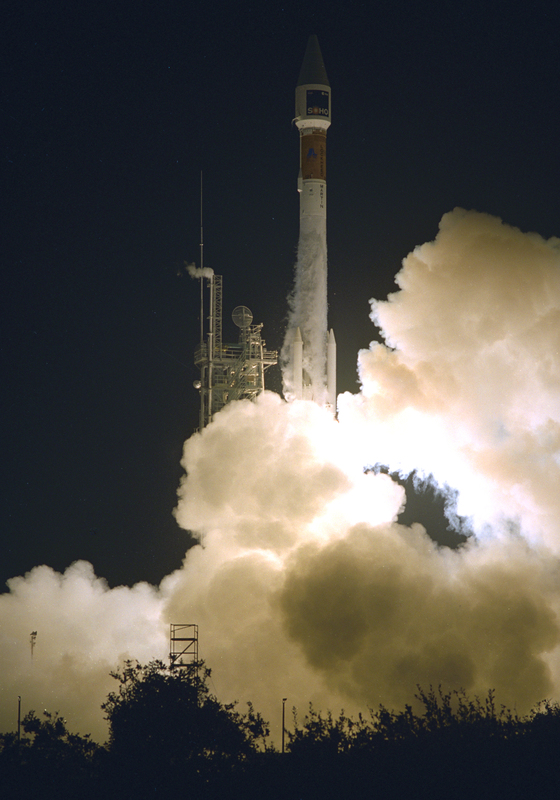 At liftoff, the vehicle is approximately 47.4m long, 4m in diameter and weights 236 268 kg. 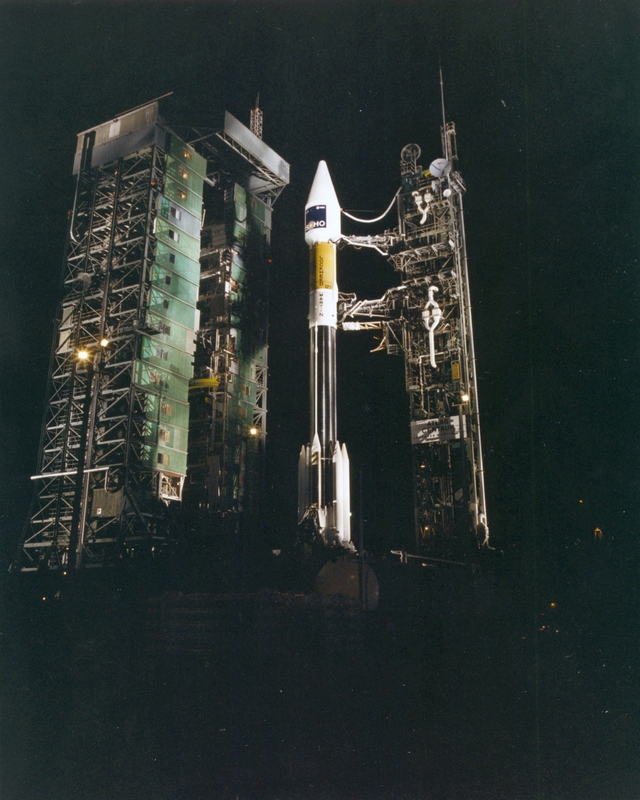 The Atlas, consists of a solid rocket booster stage powered by four Thiokol Castor IVA solid rocket boosters and a core vehicle stage (booster and sustainer) powered by Rocketdyne MA-5A liquid propellant engines (RP-1 fuel and liquid oxygen). 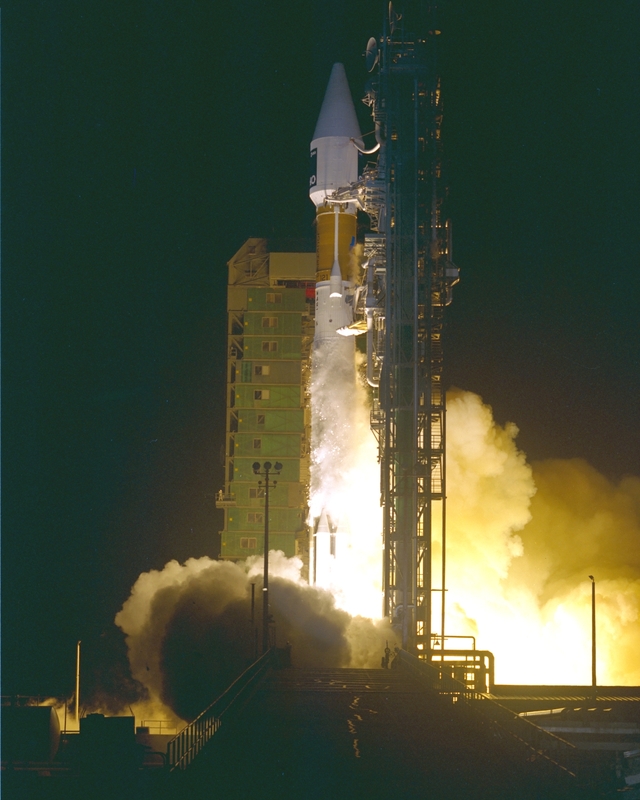 The multiple firing Centaur is powered by two Pratt and Whitney (RL10A-4) liquid hydrogen and liquid oxygen engines with extendible nozzles. 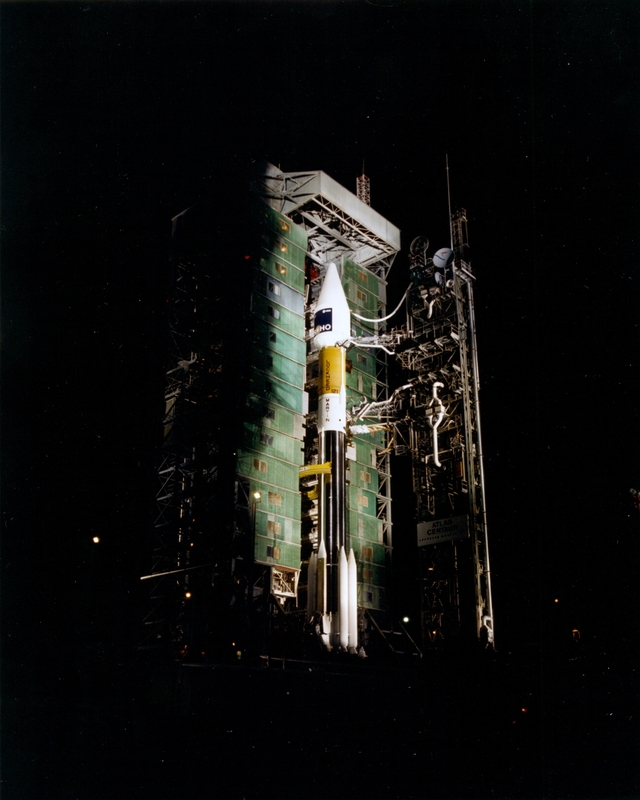 Vehicle guidance and range safety is mounted on the Centaur stage. 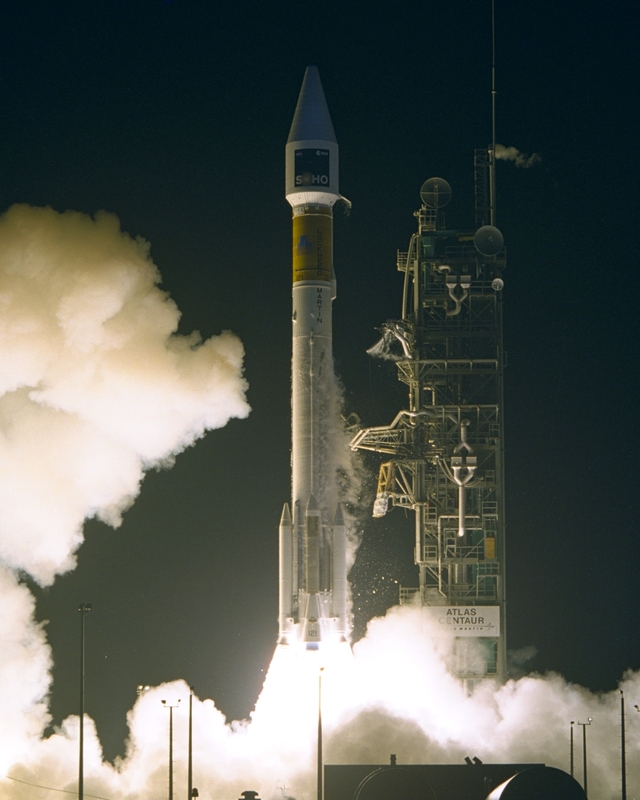 The Centaur rocket body is 3.04 m in diameter, 9 m long and weight 1814 kg empty. 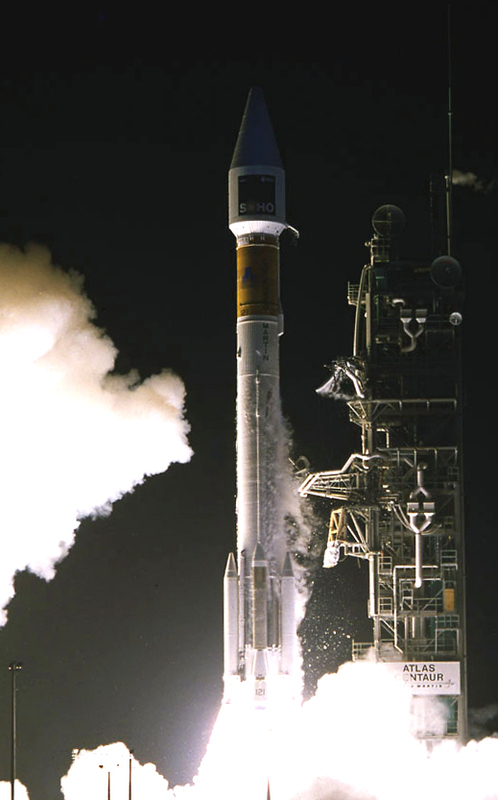 SOHO is 3.65 m in height and 3.65 m in width and weights 610 kg at separation from the Centaur rocket body. SOHO was placed into a halo orbit around the Sun-Earth L1 libration point, approximately 1.5 million km sunward from the Earth.